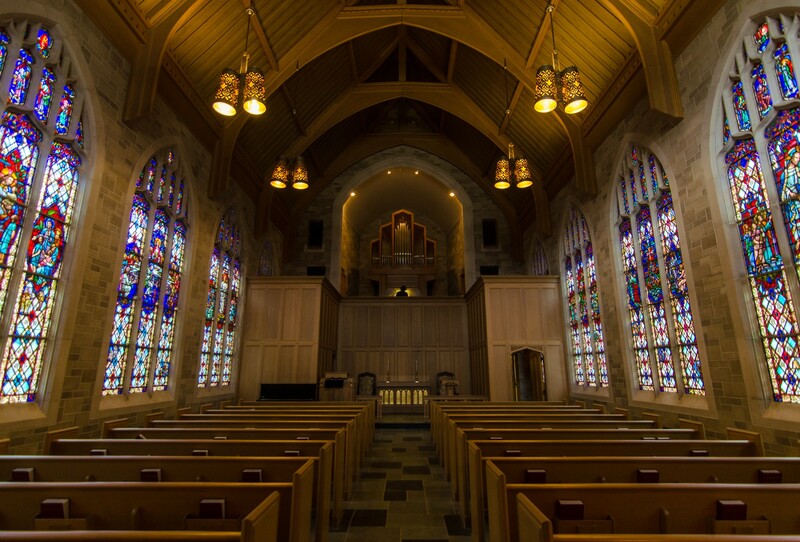 Built just over 50 years ago, Alice Millar Chapel is relatively young. 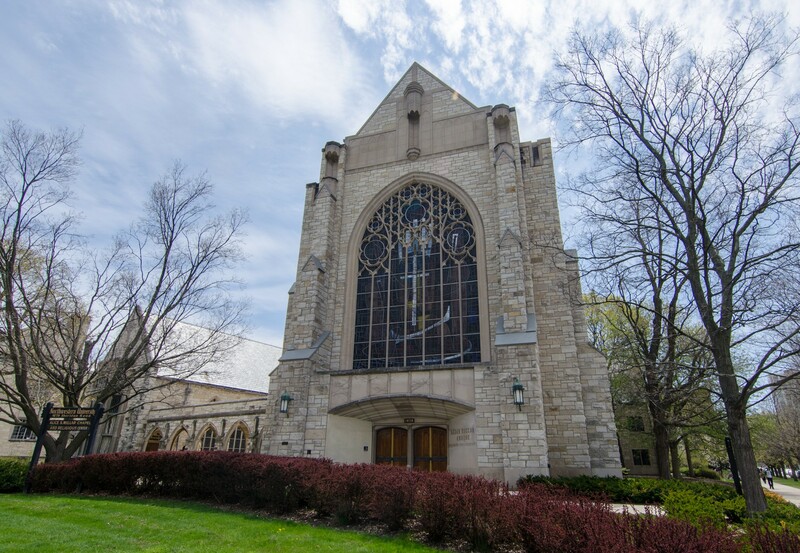 Its design marries a simplified Neo-Gothic form with stained glass that is unabashedly Modern. 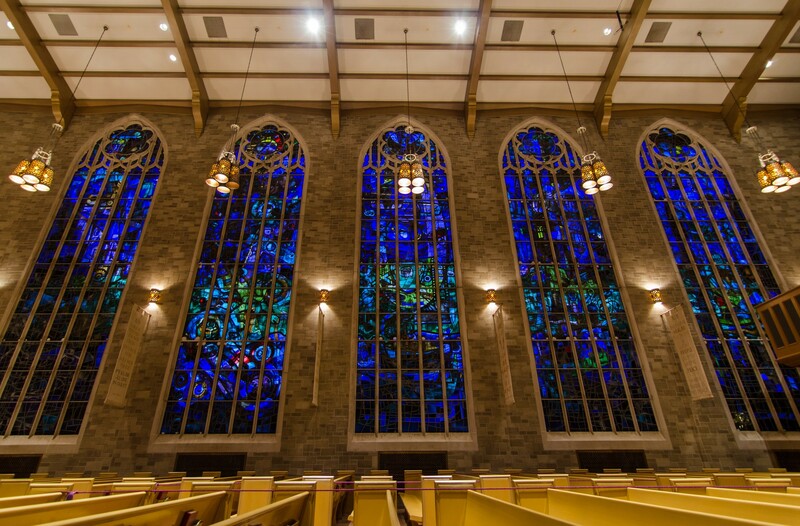 The 700-seat sanctuary has little ornament to distract from the bold, colorful abstract stained glass windows that flood the sanctuary with an ever-changing light. 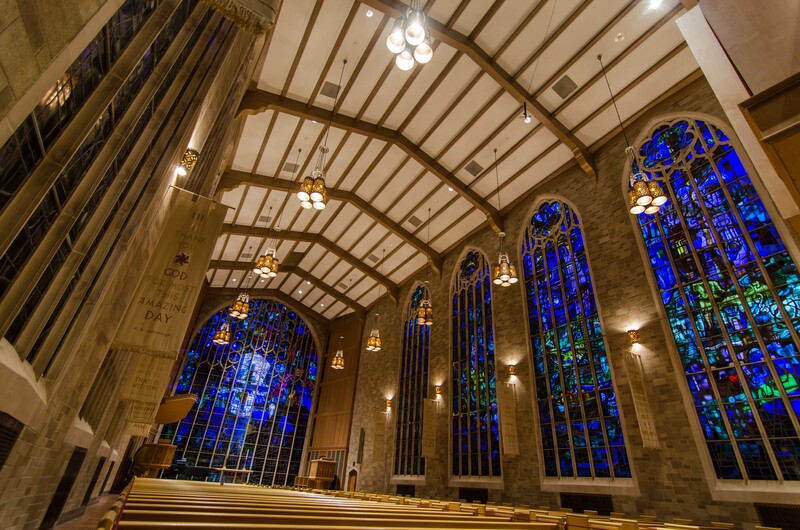 The entire chancel wall is covered, floor-to-ceiling, in this glass—a most unusual backdrop that highlights the uniqueness of the space. The windows are the work of Belgian-born designer Benoit Gilsoul, fabricated by the noted Willet Studios of Philadelphia. 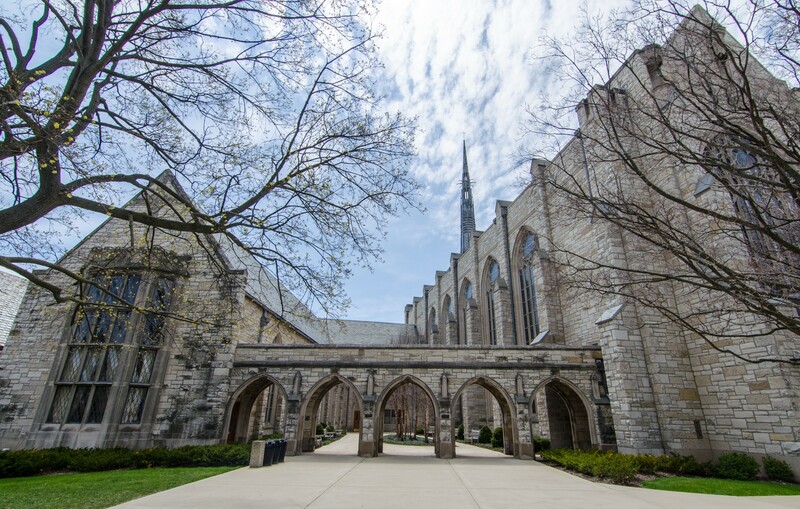 Vail Chapel is a smaller space linked by a colonnade to the east. 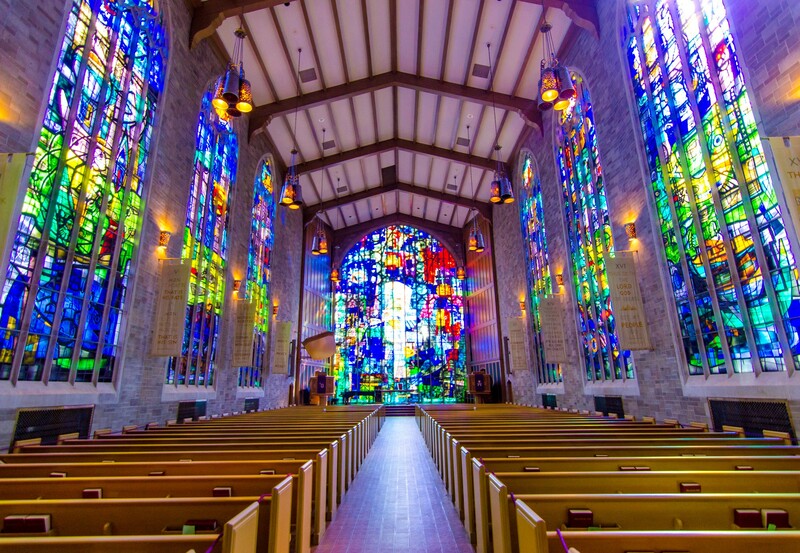 It is a much more traditional sanctuary with intricate representational stained glass.